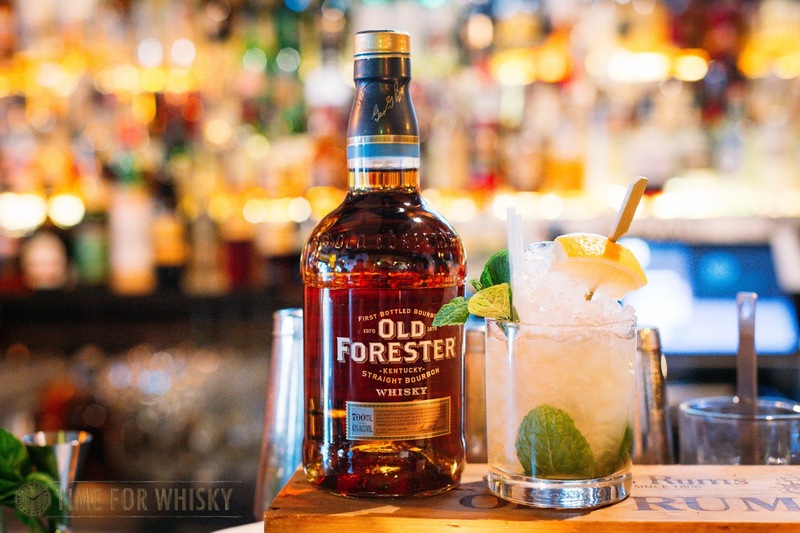 As you may know, we're a big supporter of local whisk(e)y figures that continue to inspire and educate people on the industry and its whiskies. Earlier this month, our friend Matt Wooler, founder of Dramnation hosted their first inner city tasting at Pocket Bar in downtown Sydney. Continuing from the first World Whisky Tour tasting series in May which was held at Crooked Tailor, Castle Hill , the second series of the tour expanded the tasting collection to also include whiskies from Brittany, France and Arkansas, USA. As we'd written last year, Dramnation was founded with the aim of imparting knowledge and introducing whisky appreciation for individuals, and it's great to see them continuing that mission. The line-up included one very special bottle from The Scotch Malt Whisky Society (SMWS) - B3.2 or so cheekily titled 'Ooey-gooey cinnamon bun' - a bourbon whiskey from the Rocktown Distillery in Arkansas, USA. The 2 in the B3.2 denoting that this was a second Society release from the Rocktown Distillery. 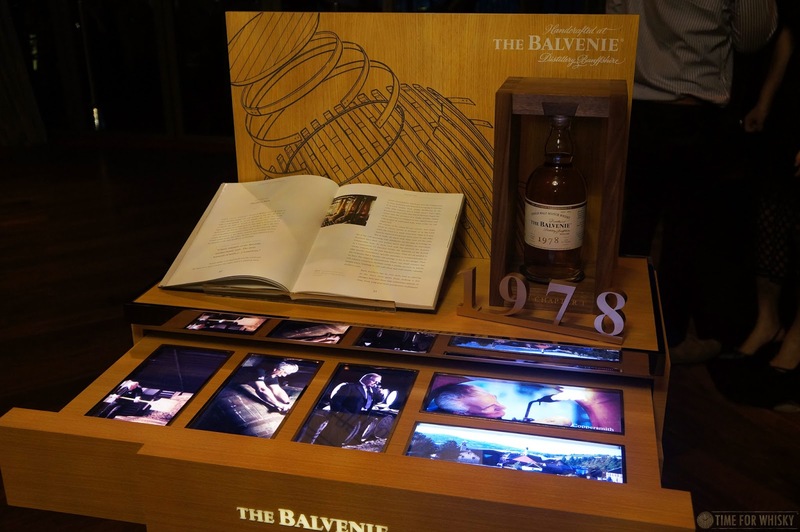 The inclusion of a Society bottle added to the eccentricity of the line-up and helped ensure guests were treated to an extensive range of profiles of the different world regions. What has always stood out for me at each Dramnation event is the immaculate setup and the superb attention to detail on the setup. As much as you can touch and feel (and taste) the whiskies -- you can equally explore different sensory experiences that are scattered across the tasting tables. 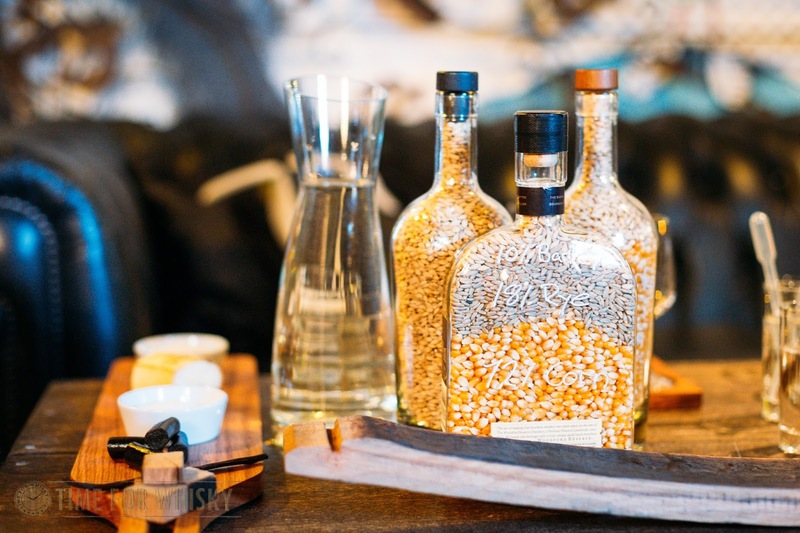 Bottles filled with barley, rye and corn -- showcasing the mix for bourbon whiskies, cinnamon sticks, licorice and chocolate are just few of the items that are presented for guests to appreciate. Mozzarella and cheddar cheeses were also made available on each table with the notion being that the different cheeses can invoke or cleanse one's palate. The mozzarella cheese was what Matt described as a palate cleanser, a type of cheese that help to neutralise your palate. The cheddar cheese complements the tasting, by being a palate exciter, a good cheese to have before each dram. The night itself was co-presented between Matt, Matt Bailey of The Scotch Malt Whisky Society and Jeremy Daunay, founder of Le Baron des Spirits who was there to represent Armorik (a distillery we'll soon be featuring in detail in an upcoming post). Jeremy opened the night with the Armorik Classic Single Malt; a clean and light malt from Brittany, France. Armorik, being a recent addition to the local market certainly pleased the crowd and will be one whisky to watch over the next year. It wasn't that long ago that Jeremy presented the Armorik series at The Wild Rover and I recalled truly enjoying the different expressions. Each host spoke to the different whiskies, outlining the differing factors that make up the individuality of each, and how the extent of maturation in the different regions varies. Perhaps the adage that age is just a number rings true in certain circumstances. This was certainly true for Kavalan, Starward and the Society B3.2 (Rocktown Bourbon) where they have all been matured for 3 years or less and yet their punchy profile certainly did not disappoint. Full tasting notes on all the whiskies presented on the night were provided to all the guests and have also been published on the Dramnation site here. The inaugural Dramnation tasting at Pocket Bar was a success and it was fun, insightful and introduced people to the whiskies from the different regions. The night even saw a beer into the mix with the Gage Road ESB being introduced to complement a couple of the whiskies. TimeforWhisky.com attended the Dramnation World Whisky Tour Tasting Class as a guest of Dramnation, with thanks to Matt Wooler. The Australian Malt Whisky Tasting Championship was held last week at the fun-filled Madame Tussauds in Sydney. 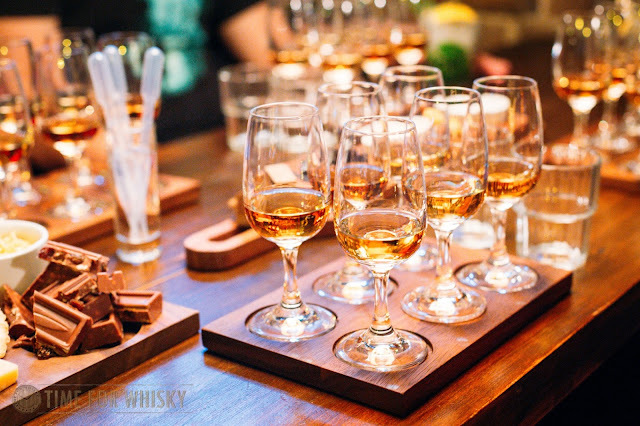 We joined in on the fun where eight whiskies were laid bare for a blind tasting followed by a riotous, celebratory night. We'll post our coverage on the event shortly, though in the meantime, the following press release highlighted the three winners of this year's Championship. All we can say is that it was tough. 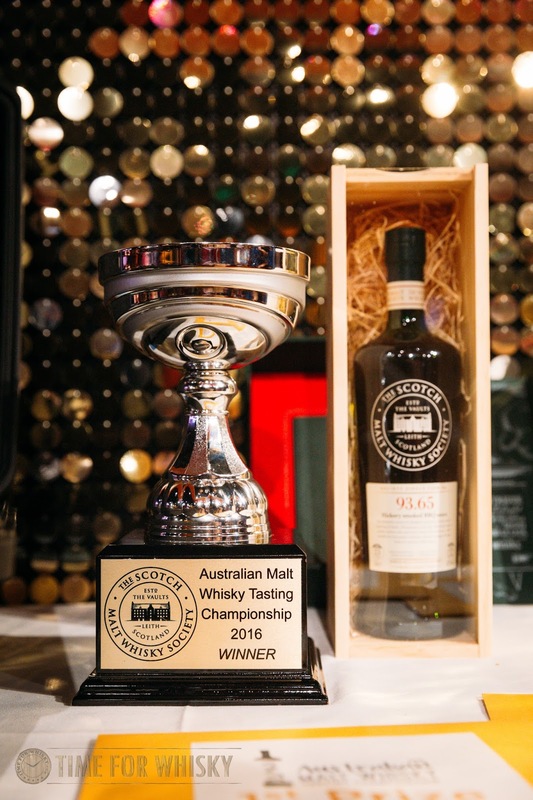 1st Prize: Being crowned the Malt Whisky Champion of Australia! With everyone seated, competitors had 30 minutes to assess eight whiskies in a blind-tasting format. Each competitor was provided with a list of nine possible whiskies – the eight on the table, plus one red herring. The task was to correctly identify which whisky was which. This year’s line up of whiskies featured an incredibly difficult lineup of Speyside malts that were similar in style, and it took some pretty experienced and knowledgeable palates to discern them apart. Three competitors tied for first place and it took no less than two rounds of taste-offs to determine the placegetters, with Adrian Callus clinching the win. 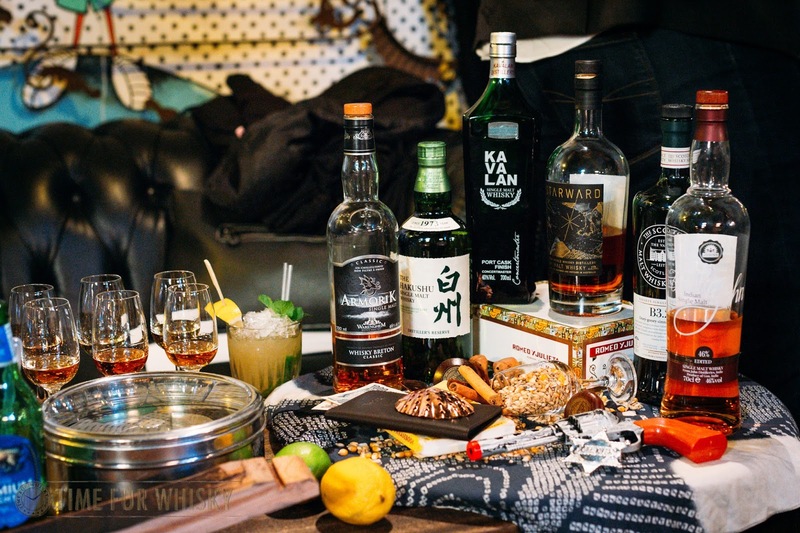 Hotel, and an incredible whisky tasting experience at the Scotch Malt Whisky Society’ bar, located in the Park Hotel. Reserva expressions. In the rotunda was Sydney Cocktail Club’s Sensory Bar, an adventure through the tastes and sensory aspects of great spirits, and then of course the incredible beers straight from the tap of Gage Roads Brewing Co. Thanks are also due to The Oak Barrel in Sydney for their generous support of 3rd prize, and Vintec for their support of the event." Congrats to all winners, and everyone who took part! We've shared a number of special Jack Daniel moments in the past, including the various Jacktember celebrations and being part of The Bar That Jack Built. This time, to celebrate the 150th anniversary of the Jack Daniel Distillery, Assistant Master Distiller, Chris Fletcher is visiting Australia and will host a number of events an masterclass. "Jack Daniel’s is set to make an impact in Australia as part of the global celebrations marking the 150th anniversary of the Jack Daniel Distillery in Lynchburg, Tennessee. 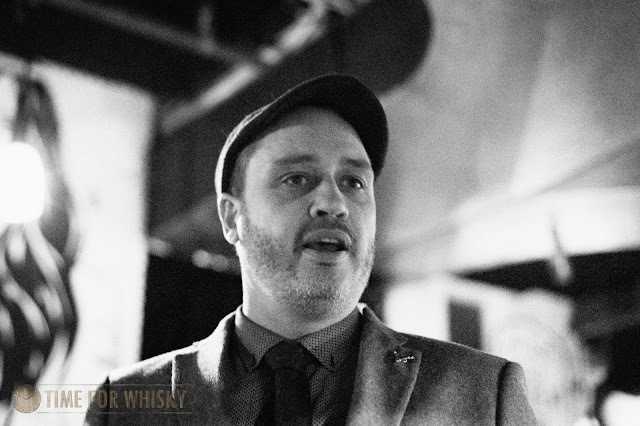 Assistant Master Distiller Chris Fletcher will be visiting Australia for the first time to share his incredible knowledge of whiskey making as he hosts time travelling whiskey experiences across the country. Throughout July and August, connoisseurs in Sydney, Brisbane and Perth will be taken on ‘A Journey through 150 Years of Craft & Cocktail Culture’, enabling them to sample the sights, sounds and signature cocktails from iconic eras in Jack’s history at secret locations in each city. For this one-of-a-kind tour like no other, prepare to step back in time to 1920s prohibition, encounter the suave style of Frank Sinatra before embracing the thrilling times of 70s, 80s and 90s rock ‘n’ roll. Culturally so much has changed all the while Jack has been making his famous whiskey in one way, in one place for 150 years. The milestone certainly calls for a celebration and at each event guests will also be able to raise a toast to the 150th anniversary with a celebratory cocktail designed by Chris Fletcher. The evening’s complimentary entertainment will further include a whiskey tasting masterclass led by Chris, where attendees will be able to put their sensory skills to the test to discover what it takes to be a Jack Daniel’s Master Taster, one of the most important and respected jobs at the distillery. Chris is not the only Lynchburg original coming to our fair shores, as the festivities continue throughout Australia with a global scavenger hunt featuring real barrels from the distillery. Uniting friends of Jack across the world, the Barrel Hunt will visit more than 50 countries in 90 days giving whiskey fans the chance to win money-can’t-buy prizes to commemorate the 150th anniversary. Select barrels will also include VIP tickets, travel and accommodation to the worldwide celebration taking place at the Lynchburg distillery this October. Clues as to the whereabouts of the 10 whiskey barrels hidden across the country will be revealed on the Jack Daniel’s Australia Facebook page. To find out more about Jack Daniel’s and the Jack Daniel Distillery’s 150th anniversary visit Facebook.com/JackDanielsAustralia." We will post our coverage of the celebration shortly. Last month we enjoyed The Balvenie's "DCS Compendium" launch in Hong Kong, in the company of the brand's global ambassador Sam Simmons. This month Sam will be in Australia, joined by The Balvenie's iconic Malt Master David Stewart, who has been with the distillery since 1962! Long-time readers might remember our masterclass with David Stewart last year in Hong Kong, or our interview with Sam in 2013. The DCS Compendium will be a set of 25 bottles, released in 5 "Chapters" of 5 bottles each, and accompanied by a book written by Sam Simmons. Each chapter explains the themes of that year’s collection in detail and explores the fundamental aspects in the development of David’s career – including Influence of Oak, Secrets of the Stock Model and Expecting the Unexpected. Unlike Hong Kong (which has only received one official bottle for sale, the 1978, rather than the full Chapter), the complete Chapter One is currently available in Australia through Dan Murphy’s for $57,000. David is on a week-long tour, commencing today (Friday 15th July), which will see him conduct a series of education sessions for both trade and consumers. 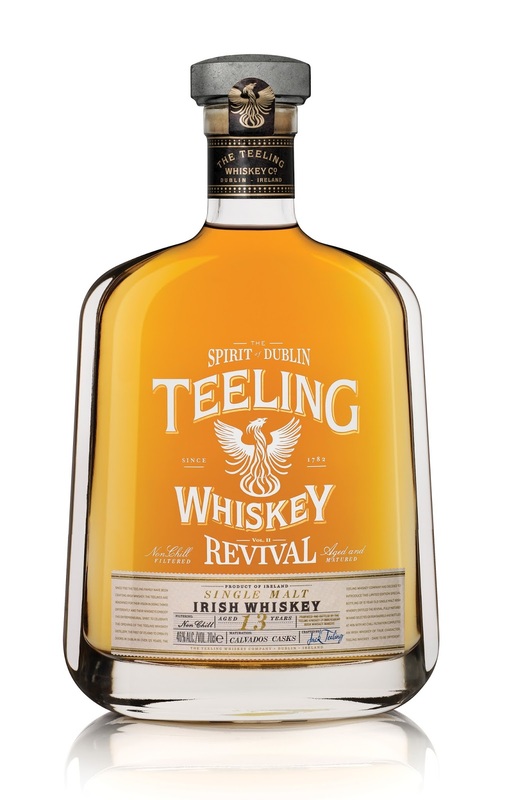 Following on from Teeling Whisky Company's' recent 15yo "The Revival" (tasted here) comes the second "Revival" bottling - this time a 13 year old single malt aged for 12 years in ex-Bourbon casks, and a further year in 250 litre ex-Calvados casks. We've loved all the weird and wonderful maturation techniques / finishes that Teeling have been doing for a while now, so can't wait to see what sort of impact ex-Calvados casks have on their single malt. Bottled at 46%, "The Revival Volume II" will initially be available in the UK and Europe, followed by select international markets (including Australia, but HK hasn't yet been confirmed). 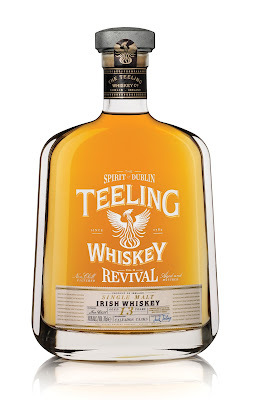 "...The second limited edition bottling in The Revival Commemorative Series, Volume II, consists of a 13 Year Old Single Malt Irish whiskey distilled in 2002 and matured initially for 12 years in ex-Bourbon casks. It is then given a further 12 months’ maturation in 250 litre ex-Calvados French apple brandy casks imparting an extra apple and pear character unique to Irish whiskey. Further by bottling at 46% ABV with no chill filtration completes an Irish whiskey of true character. Jack Teeling, Founder and Managing Director of the Teeling Whiskey Company, commented, “The one-year anniversary of our award winning distillery and visitor centre is a major milestone in the history of the Teeling Whiskey Company. We released Revival Vol I when the distillery first opened and one year on we are proud to unveil a second celebratory bottling – The Revival Vol II. Once again we selected a very special whiskey to celebrate the revival of distilling in Dublin with the first ever Calvados cask matured Irish whiskey. Our second bottling will be limited to only 10,000 bottles and sold both through our distillery as well as our domestic and international distributors."" We love a good boilermaker here at TimeforWhisky, and also love a good Aussie craft beer. 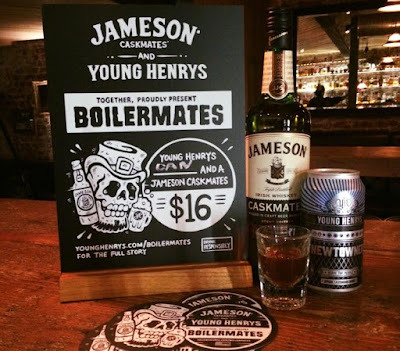 As we (obviously) love whisk(e)y, it's fair to say we're excited about this new partnership between Jameson Irish Whiskey and Young Henrys (a great microbrewery based in Newtown, Sydney), involving Jameson's "Caskmates" whiskey - an Irish whiskey finished in ex-beer casks. We tasted Caskmates last year, and far from being a gimmick, the stout finishing actually gives the beer lovely dark, coffee-like notes. In short, it works well. From now until the 31st August 2016 participating venues across Australia will be serving Jameson Caskmates x Young Henrys boilermakers. The boilermaker, being re-branded as a ‘Boilermate’, consists of a Jameson Caskmates serve paired with a Young Henrys beer of choice. 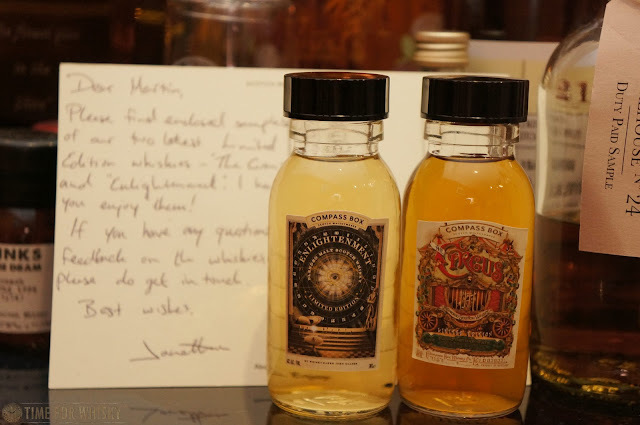 Tasted #304 - 305: Compass Box "Enlightenment" and "The Circus"
It was only a few months ago we wrote about Compass Box's transparency campaign, and tasted a few samples they'd kindly sent our way. Fast forward to last week, when another package appeared on the doorstep, this time containing a generous sample of each of Compass Box's latest offerings - "The Circus" and "Enlightenment". "...encourage the industry to consider the absurdity of a system that prevents producers from telling consumers exactly what has gone into the whisky they are drinking." Pretty hard to argue with that logic. A limited run of 5,922 bottles worldwide, Enlightenment is bottled at 46% ABV, non chill-filtered and at its natural colour. It contains malt whiskies from Clynelish, Glentauchers, Balblair and Mortlach, making it a blended malt rather than a blend. 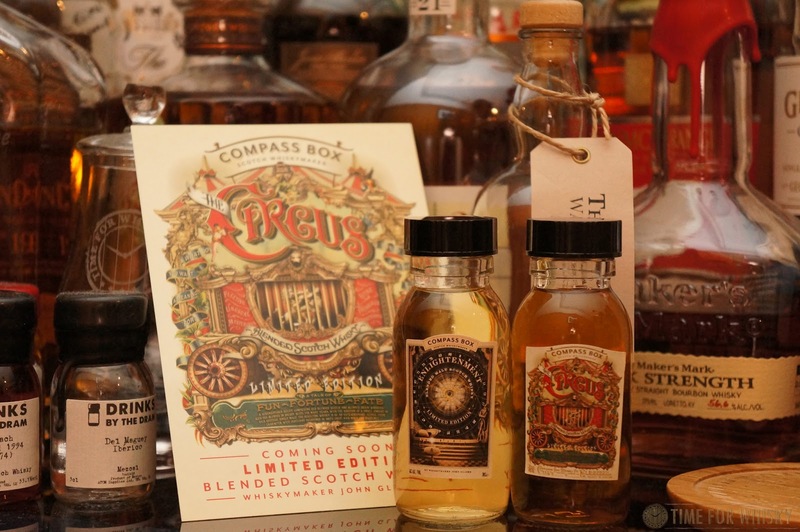 The Circus, on the other hand, celebrates old parcels of pre-blended Scotch Malt and Grain whisky (married in Sherry butts) that Compass Box recently uncovered, and is said to be a combination that displays magic, "like the very best of circuses". A limited run of 2,490 bottles worldwide, The Circus is bottled at a slightly higher 49% ABV and, like Enlightenment is non chill-filtered and bottled at its natural colour. It contains Malt whisky from Benrinnes and blended Scotch and Grain whiskies from refill sherry butts. Nose: Candy apples and fresh green apples. So fresh and vibrant. There's a little freshly cut grass, but apple overhwelmingly dominates here (in a good way). I can't recall a recent whisky exhibiting so much apple. Palate: More apples, but dusted with cinnamon. Lots of fresh fruit (pears, apples, lemons) and quite a lot of spice. Very smooth and the ABV feels "just right". Apple pie with a dollop of cream on the side. Finish: Short to medium in length, with cinnamon spice and some orange zest. Rating (on my very non-scientific scale): 92/100. Really very good. Judging by the fact that 95.7% of the liquid comes from 1st fill barrels, but the colour is so light, I'm guessing most of the whisky is relatively young...but who cares? This is a fantastic whisky and a testament to what a talented blender can produce. This could easily become a go-to summer whisky. Nose: Trademark sherry notes initially, but without any hints of sulphur. Sultanas, nutmeg, dried apricots and some whole oranges. Vibrant, clean, fresh. Palate: Big smooth caramel notes - rich and instantly mouth-filling. Lots of dried fruit, pot-pourri, brazil nuts. There's oak, but it's perfectly in check. There's a big maltiness too. At a guess, there's some pretty old malt whisky in here. Finish: Long, rich, hazelnuts and burnt toast. Rating (on my very non-scientific scale): 92/100. Another "luxurious", delicious, drink-me-right-now dram from Compass Box. Can these guys do no wrong? TimeforWhisky.com would again like to thank Compass Box for the generous samples.